There is nothing more magical than getting to experience nature’s very own light show on a summer night and at Lanternstay, located deep in the forest of Wayanad, you can do just that. As dusk slips into darkness over the jungle resort, you will be able to watch and enjoy one of the marvels of Mother Nature, a spectacular light show created by the glittering glow of hundreds and thousands of fireflies as they hover and flit among the grass and the trees. This truly amazing spectacle happens during the firefly season which starts from April and lasts till mid May. 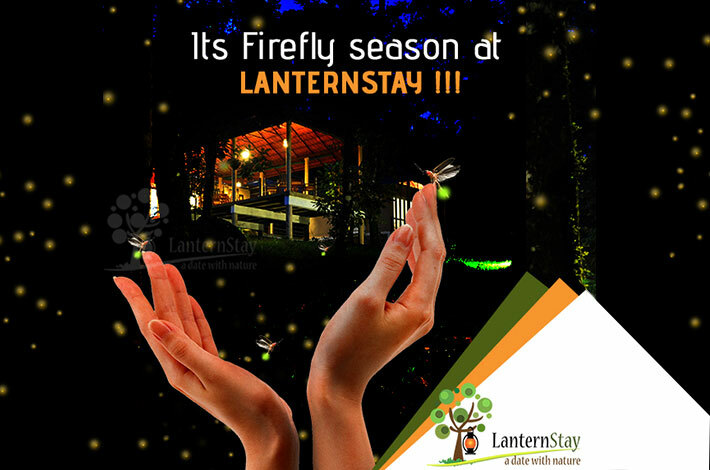 The firefly season is a good time to stay at the Lanternstay and get close with nature and its wonders. During the day you can indulge yourself in some nature trekking, photography, bird watching or relax with a good book by the stream that flows through the property. At night, you can have a bonfire with friends and family and watch the fireflies as they find their mates with their light-flashings. Coupled with spacious and comfortable accommodations, exemplary service and great food, your stay at Lanternstay jungle and adventure resort will be one that will be treasured in your memory for a long time to come.